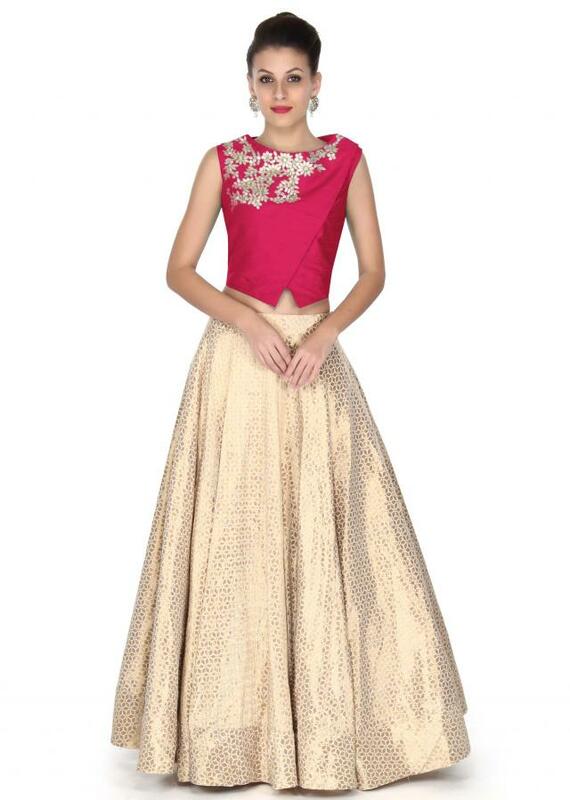 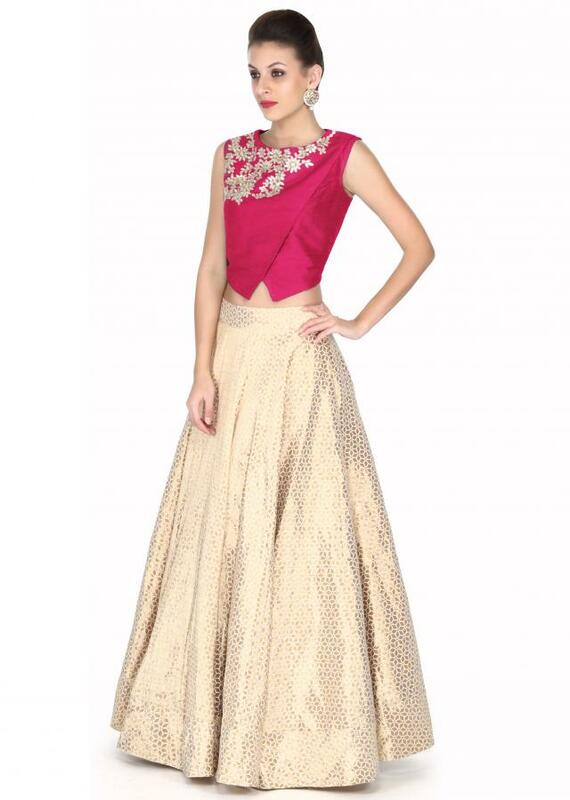 Beige Brocade Silk Lehenga with Hot Pink Blouse Styled with Zari Embroidery. Slay the ethnic look with oodles of sophisticated charm by wearing this beige lehenga with embellished hot pink blouse. 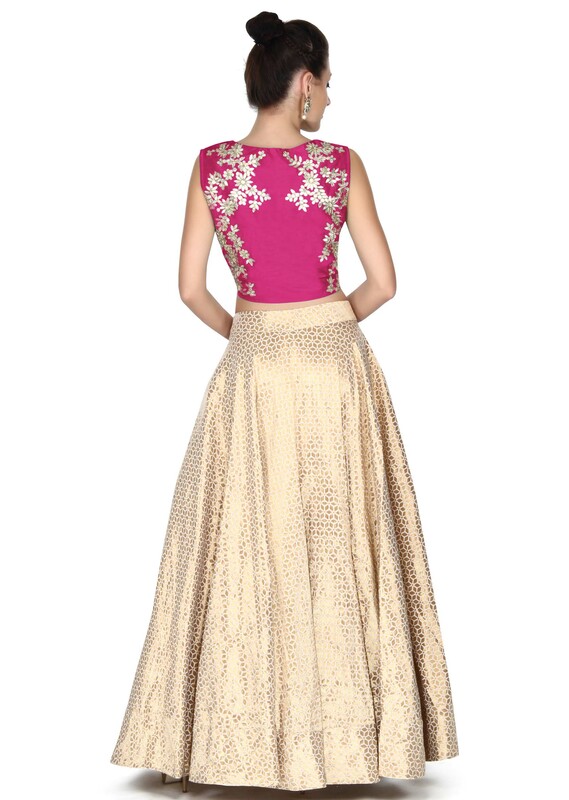 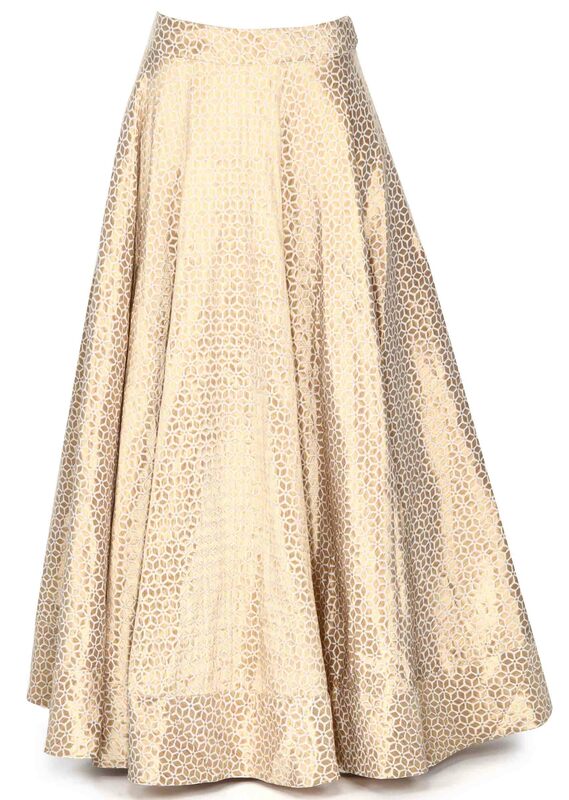 The beige lehenga in brocade silk with its floral motifs raises the glamour quotient. 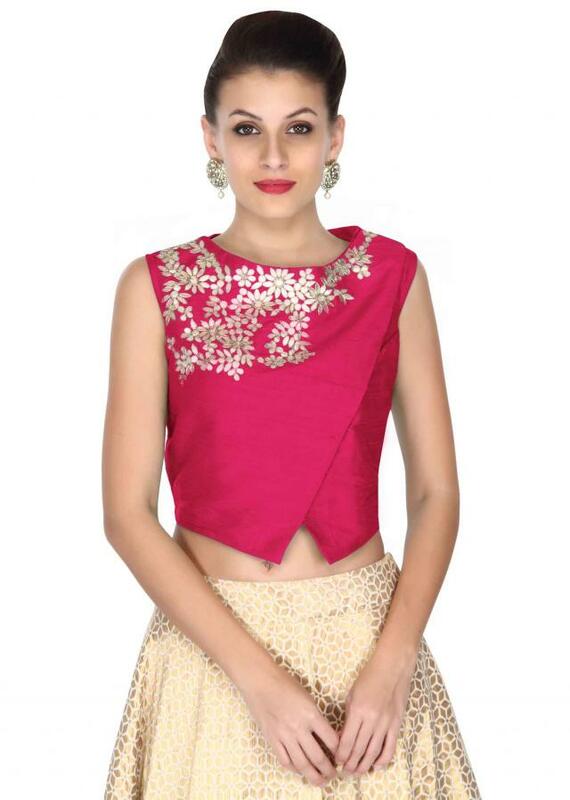 The hot pink raw silk angarkha blouse is strewn with delicate floral motifs done up in zari embroidery.